Complimentary parking is available in the surrounding parking lot at The Summit. Always great seafood. Good service /value / experience-definitely a repeat needed! Excellent dinner! Would have liked a little more shrimp and scallops in my Shanghai Seafood Sampler. 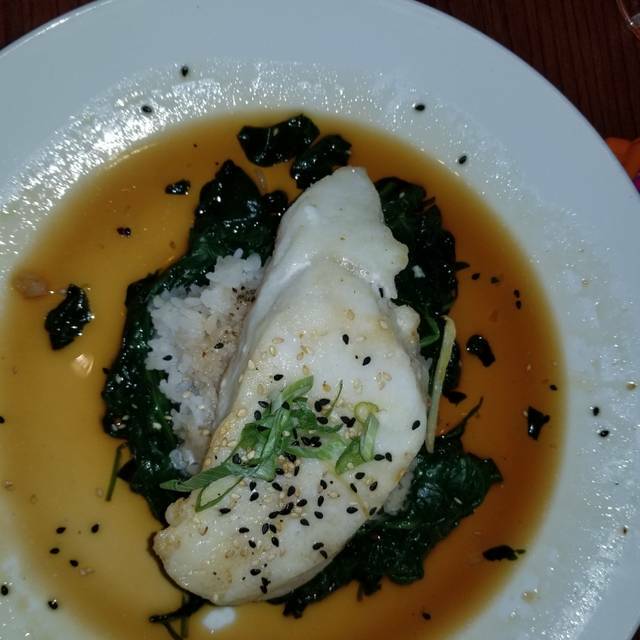 But the Ponzu Sauce was very nice. The Pan-seared Rainbow Trout and blackened Swordfish were big hits too. We’ll be back. Excellent food, excellent service. We had a great evening!! Bisque was very good but stuffed cod not so much. Family get together. Our waiter was fabulous! Loved it! Lots of fun! Reservation was for 5:30 on Good Friday and we were seated promptly upon arrival. Started off with shrimp cocktail . Shrimp was chilled and very good. Loved the cocktail sauce with horseradish. I had the fish tacos and my husband had the fried platter. Both were delicious. Service was attentive not overbearing. By the time we left at 7pm the place was packed. Had a great time with friends and our server (Alex) was awesome! The food was excellent! Cant wait to go back! Busy night--Friday night during Lent--good waiter until he got very busy and forgot about us, but he really was hustling. Manager had to come out and find our birthday rewards credit on our account, but it all worked out. Good food, folks were eager to please. Nice evening. We shared the cod with lobster & shrimp topping, potatoes & asparagus & a spring salad. Everything was great ! Food delicious and a good variety of anything you would need. I would suggest a friend goes there but I would also let them know the food is not the reason you go. 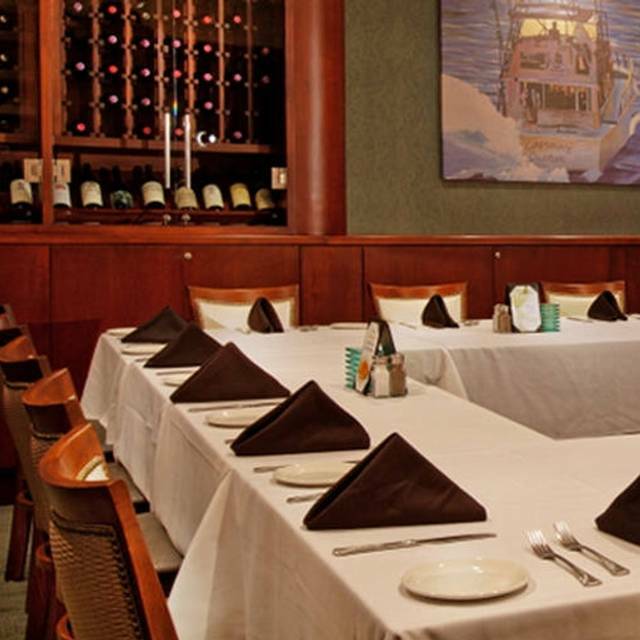 The atmosphere is nice and the service is great. Mitchells is skimpy on the vegetables unless you order a salad. Seriously, they only know how to do green beans or three sprigs of asparagus. They will tell you zucchini or squash is part of the vegetable medley but you have to put your glasses on to find them. Server was friendly and attentive. 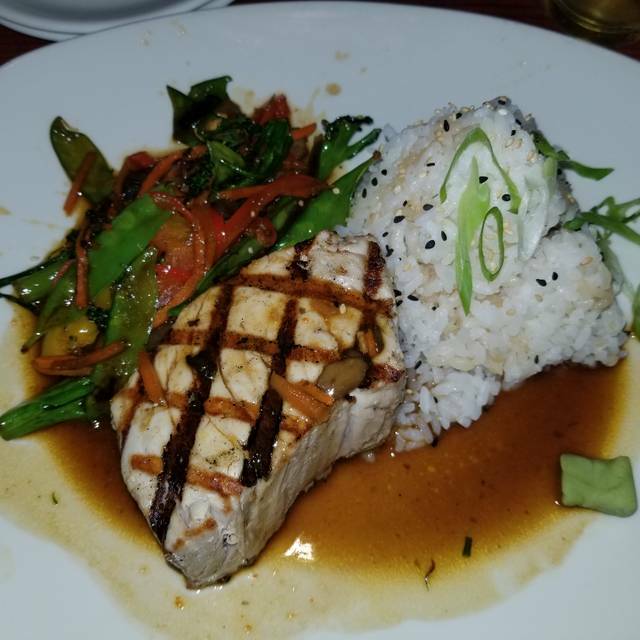 We ordered the halibut & it was prepared perfectly. Look forward to our next visit. Made reservations for 5 people. That worked well. We went to the bar area before we were seated. The floor was so sticky that my shoes were stuck to the point that they almost came off when I tried to take a step. After being seated the service was slow. One person did not get asked if they wanted anything to drink. His salad then came out at the same time as the entrees. When drinks were ordered it took so long to get them and people were mostly done eating. The food was not very good. Everyone in my part agreed that the food was poor, service mediocre and not worth the high prices paid. We won’t go back there again. We waited 20 minutes after our reservation time to get seated. Service was slow. Food was great! Salad had a hair in it. Server said he checked if everyone had hairnets on. Asked if there could be an adjustment. He said flat no. 3 of the entrees were lukewarm. The both of us were VERY disappointed in the quality of the deep fried fish and crab cakes. They were extremely over done and after our waitress took our order, she was no where to be found. The crab cakes arrived on top of a sandwich roll that had the spicy remoulade despite our request for it to be withheld. Our water glasses were never re-filled. We tried the chili pepper stuffed with cheese, tomatoes, shrimp & other goodies & both liked it. It had just enough spice. Then we shared the lobster & shrimp stuffed cod with smashed potatoes and asparagus. Delicious! Made a reservation for 6:15 on a Sunday, we have kids and it is a school night, so hoping to get in and out fairly quickly. Restaurant was half full ....good reviews mostly, so looking forward to it. Arrive right on time, hostess acts like we are lost or something, after some confusion, finds us a table. After sitting at table for 5 minutes with no server, our 6 year old needs to use restroom, walk by hostess stand to go to bathroom, she say, "thanks for coming in"....lol, we just got there! No big deal, laugh it off. Go back to table, still no server, wait 10 more minutes, no server, so going on about 15 minutes or more with not even a drink order......large group of 20+ right next to us....apparently there was just one server for that group and she was supposed to serve us too? Wth? Poor planning, poor management, there where other servers that did not seem that busy doing nothing in a half entry restaurant. We had a table of 5, that probably would have spent a good $300 that night, but instead we got up and left.....too bad, menu looked good, will never know. Very dissapointed that a restaurant that charges the $$$ they do in a fairly upscale part of town can't do a better job at staffing their establishment. No one at the door to great us. Two people told us that someone would be with us soon. Wasn’t a long wait but not a good first impression. Sat in the bar and was not impressed with the bartender. Rarely checked on us. Had to ask for another drink, salt and pepper, check. Not impressed with the overall experience. Service is great but the food isn’t. Everything needs salt and pepper, except the lobster bisque which was so salty it burnt our lips. Most of the dishes had a weird sweet after taste, maybe it was something in the pan. Definitely not worth the price. Shrimp appetizer was great. Clam chowder is the best in Louisville. Excellent as usual. I am a regular customer and love the place. Simply wonderful. Exactly how you would expect dinner to be. Our clients had a great time. Poor quality food preparation. They managed to both under cook and over cook the same appetizer. When we complained the kitchen took the undercooked food (calamari) and put it back in the fryer and tried to re-serve it??? Pretty sure that is a health code no no. Always good! The manager took special care to make sure my daughter's meal was gluten free. The food was just OK, but I would recommend them try Cracker Barrel’s Rainbow Trout, which is far superior to the dish I was served. The largest problem was timing of food. During dinner, not one plate was picked up before the next course arrived. We essentially ordered, and ate non-stop for 20 minutes and went from app’s to bread to salad to main course. Not a minute between courses, and not even enough time to drink my beer that I ordered when we sat down. 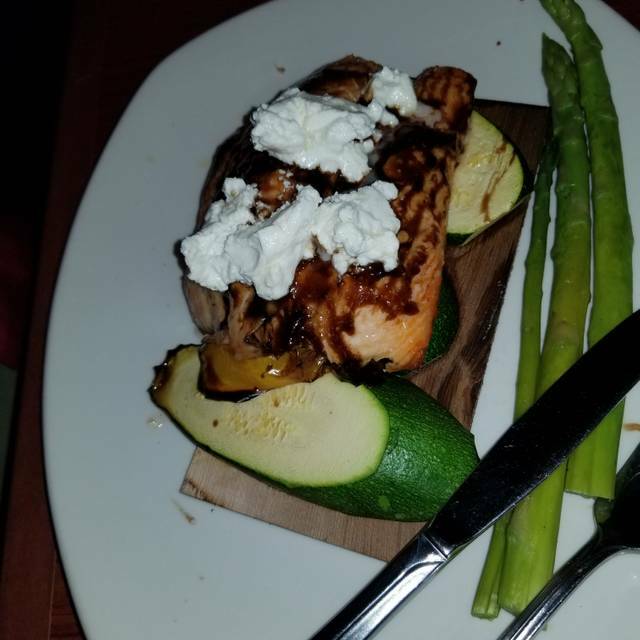 So after the salad is finished, and my main course is served and on the table, I order a glass of wine, and finish my beer while my plate sits and gets cold. Learn to serve an experience at a restaurant, not just the food. The restaurant had 30 empty tables, but it was a Tuesday, so it quiet. The oysters and the mashed potatoes were good though. Where do you start to define the horrible dining experience we had tonight? With the 5 minute wait to check in at the empty hostess station? The lack of reading my requests on Open Table for a nice booth to celebrate my birthday? The delay in getting a waiter to our table only to have him screw up the drink orders? The unimaginative and tasteless seared Ahi? The lobster tails which were either over-cooked or out of code date because you could squish them between your fingers like snow peas? The salmon which was ordered to be fully cooked but came out partially raw? After we were seated, a party of at least 16 people arrived next to our table, and this group became the focus of the limited attention of the wait staff. The drinks were plentiful and reasonable, and the ambiance of the room is pleasant. But this restaurant has too many warts for a return visit. Food was very good. Service was somewhat slow but the restaurant was busy. Excellent and predictably good service. It's always excellent ! We love Lauren S and Lauren B. The food and service were both outstanding ! We took some out of town guests to Mitchell's for dinner - party of 8. Thank goodness the main course turned out to be delicious as the service and amount of time we waited for our food was extremely lacking. We all had a round of drinks and ordered soup which arrived cold. The server was quick to replace when we bought to her attention, however, the replacement was only luke warm at best. Because we had already waited so long, we ate up, assuming that was the best it was going to get. It was then another 45 min. before we received our dinner! Not sure if this was a server issue or a kitchen issue? The crazy thing was that half of the tables in the restaurant were empty so was not like they were busy! The server tried to pull it off by saying she waited 10 min. before putting our main course order in to allow time for us to enjoy our soup. If that's the case, they need to ditch that idea! 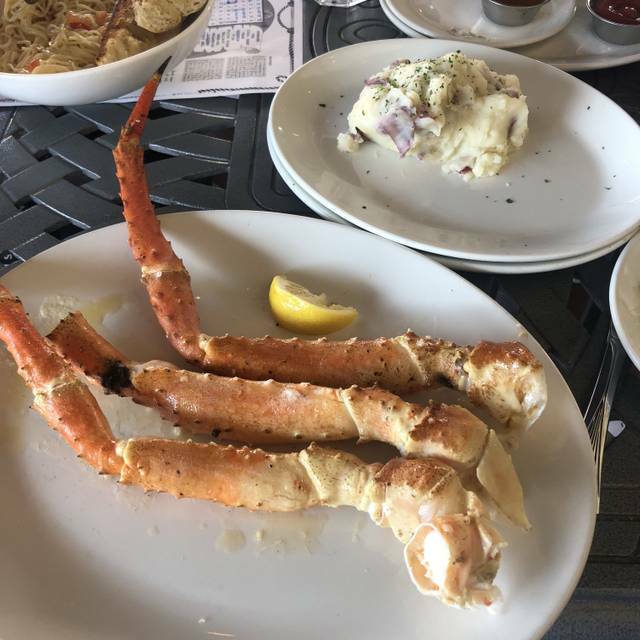 The member of our group that ordered crab legs was presented with 2 medium (at best) crab legs for $44!! The rest of the main courses were delicious. However, due to the lack of service, this is not a place that I or the remainder of our group will revisit. Since sharing our experience I have heard similar feedback. 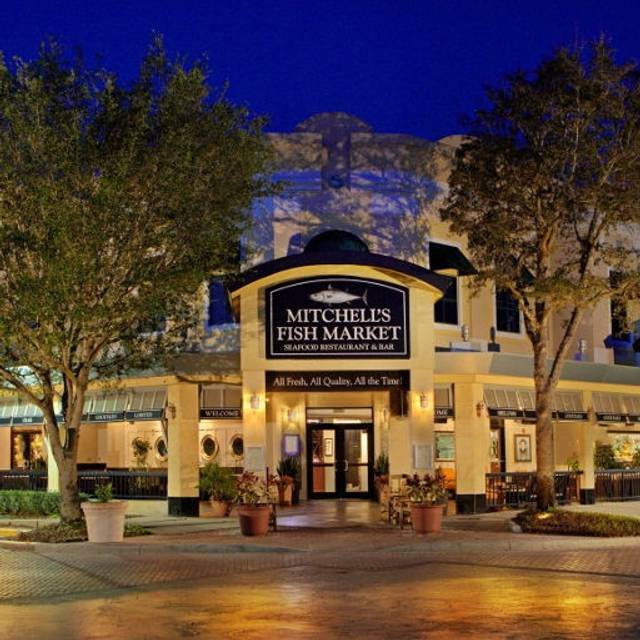 Mitchell's better step up the pace if they plan on sticking around in an area that is rich with restaurants. Not a good experience. This was our belated Valentine's Dinner. We got seated pretty quickly, but then we waited, and waited and waited. Finally, a server came to our table to get our drink order, we each ordered a cocktail and water, with lemon. She said someone else would be our server and he would be over soon. She brought the waters right away (no lemon). But then once again, we waited and waited for our drinks. I finally asked a passing server to check on them. We still had not seen our server. A few minutes later our server came with our drinks and took our order. The food came quickly. My dinner was good, but my boyfriend's was not very hot and the fries were old, cold and not very good at all. (Captain's Platter). We would have complained at the time, but the server didn't come to check until we were finished. At that point we were just ready to go. I was really excited to go to Mitchell's because I heard it was a really good place to go for seafood, but ultimately, I was disappointed. I very rarely complain, because I know every restaurant has an off night, or maybe they were really busy. But it wasn't that busy and the experience was really bad all around. Except for the Dynamic Duo, that was really good! And the cocktails were very good as well! Obviously Mitchell's is a decent restaurant, though our experience lacked the spark I was hoping for. Plate preparation was poor and in my opinion, somewhat bland. I'm not against dropping a couple hundred on a decent meal, though when you end your night wishing you had went elsewhere pretty much sums it up. Our server Jenn was wonderful! We were celebrating my husbands 1 year heart surgery anniversary and they made a special menu for him which we thought was so special!! The lobster bisque was amazing but the market trio is A LOT smaller portion that it use to be and it was just ok. The andouille shrimp was just average and we had to send it back because it wasn’t hot. The manager was very nice and brought it back and had the chef make it over. He was very nice. Food was delicious! Service very slow. Took forever to get our drinks and for waiter to take our order. He did not come around too often to see if we needed more drinks. We Stopped him and asked for ice water. He forgot it!